::Instant Download:: NO NEED FOR SHIPPING! 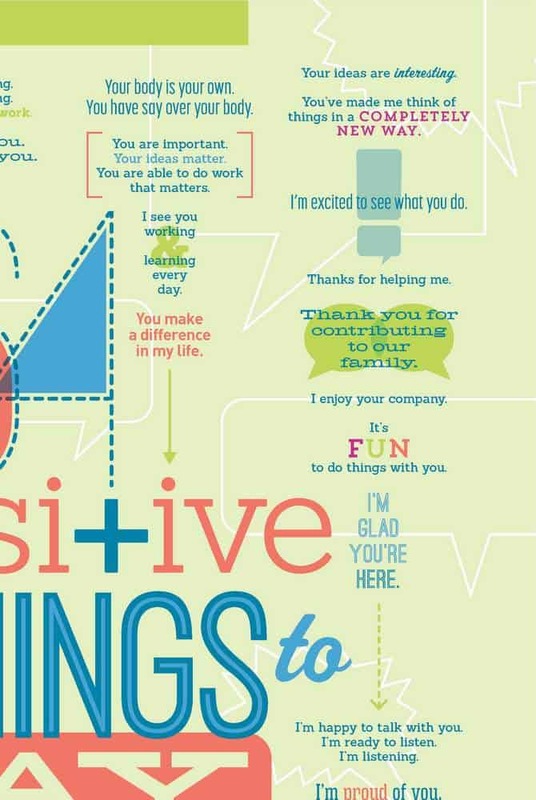 8.5 x 11 high resolution PDF – This size makes this easy to print on your home printer on letter sized paper. Clicking above will allow you to pay securely via credit card or Paypal. You’ll receive a confirmation and your download via email. 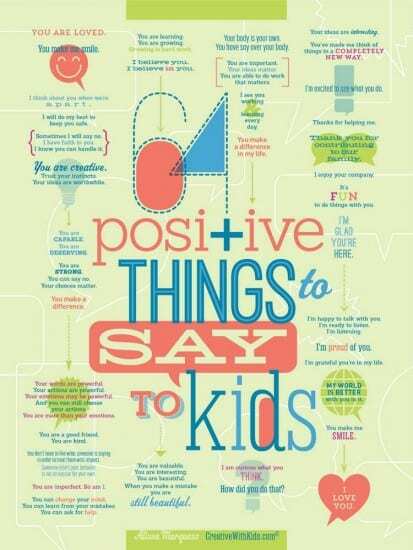 Thanks so much for this poster about positive verbal messages for kids. Its great. 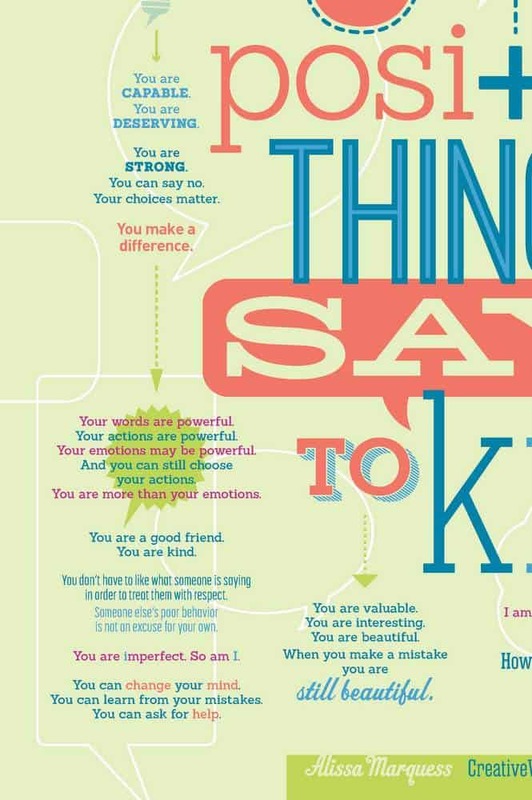 Words are important. Thanks for prompting reflection. Thanks for the poster, I've printed it out and will put it up on the wall where I can see it and use it. You never know the words of encouragement from you that your kids will carry with them the rest of their lives. 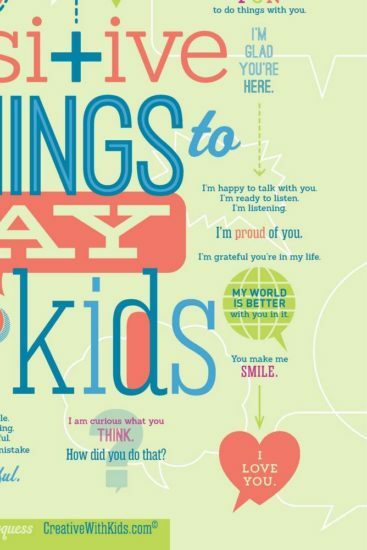 This beautiful poster came from an extremely popular post on Bounceback Parenting called 64 Positive Things to Say to Kids. 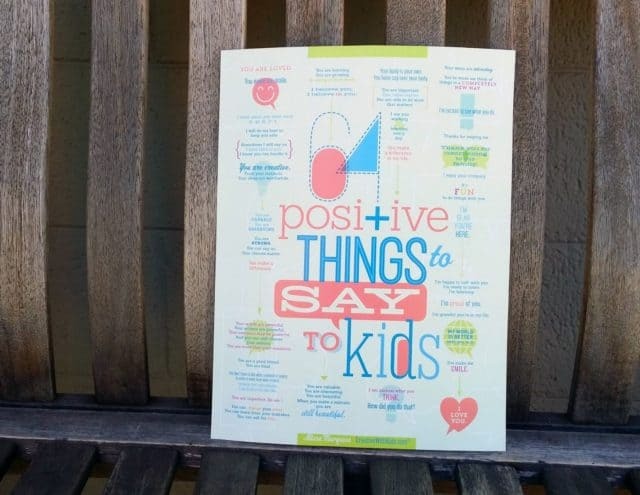 This print gives you a visual reminder of the the positive things we all need to hear. Designed by Brent Almond of Design Nut, modern colors and intriguing art that will fit in playfully by the kids room, or artfully in the dining room or office. 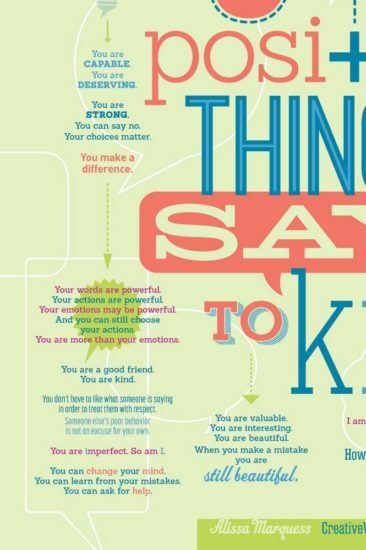 Hang it in a playroom or a classroom to have an easy to glance at list of simple yet powerful things you can say to encourage and empower. 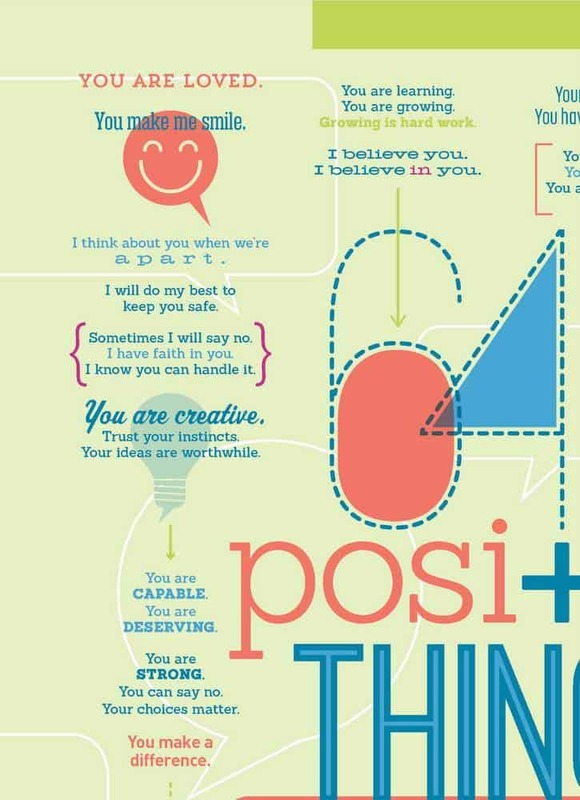 8.5 x 11 high resolution PDF – This size makes this easy to print on your home printer. RECOMMENDED for PRINTING – I suggest photo paper or high quality cardstock and selecting “photo” when printing for best results. You can click on any of the images below to look at them closer.